The young Prince Genall Caldura dug a grave in the Diadoraz Mountains overlooking the valley, in honor of his deceased father. The first kings of Caldura proudly sat in the large octagonal room. Over time, and after many wars, the family tomb had grown. King Genall buried many members of his family, including his own son, who was taken by disease. Some years later, when Genall perished during an attack on a neighboring territory, he was buried in a secret vault, which ended the Caldura dynasty. The knights and the most faithful warriors of the kingdom were laid to rest near the royal tomb in natural galleries. 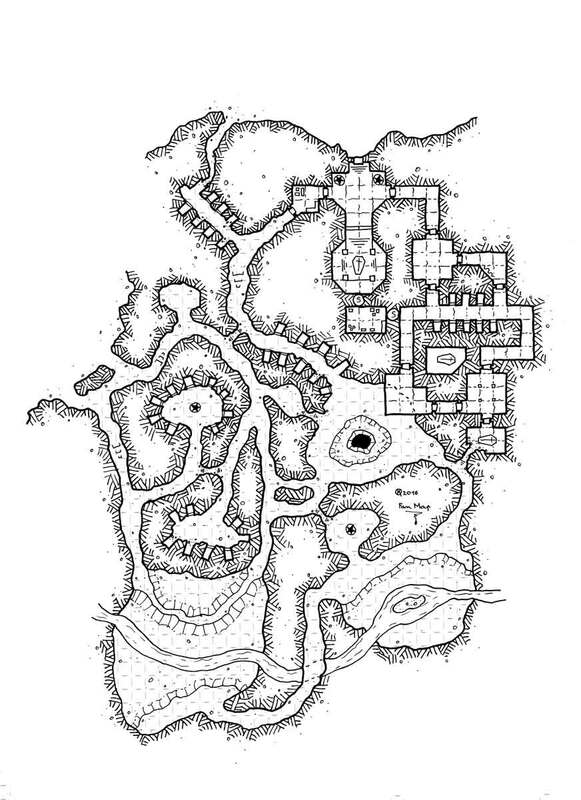 Looters and explorers regularly visit these catacombs. The more adventurous started to dig some very narrow passages to facilitate their movement in the gallery system. A small circle of initiates, a team from an an underground exploration league, searches for of the tomb of Genall Caldura, where relics, treasures from the family still hidden in the grave today. The exploration of these galleries is dangerous, and disappearances have been reported recently. According to the rumors, explorers have seen strange creatures disappear in the giant endless hole and others close to the underground river. The people of the depths have no eyes, and find their way through echolocation. They seem to only attack isolated targets, such as a lone man or small prey. Their presence is still disturbing.